There have been assemblies held this week where we have as a community looked at some of the "social norms" that we have here at TC, in particular those that we are looking to improve apon and those that we do really well. We have a great community that all are amazing at the way that we look after each other. We all treat each other as equals, a result of our one person policy, in terms of the level of respect that we give each other. We understand that all of us have different roles and responsibilities, but we know that it doesn't matter who you are, or how long you have been here @ TC we are all worthy of these equal levels of respect. This One Person Policy is one of the fundamental philosophies that we have here at TC, along with the "Yes is the Default" rule. I am looking forward to seeing everyone at the Athletics Carnival on Monday. If the success of the Swimming Carnival is anything to go by this will be another event to build up the community spirit whilst taking part in the many activities taking place during the day, as well as giving the elite level competitors an opportunity to compete in the serious events. It is with great pleasure that I would like to announce that the new Head of House, replacing Beth Wigg, is Stevenson Knight. Stevenson is currently working with Veronica Pender and Ceri Davies to take part in a handover of the role to ensure a smooth transition. Stevensons details can be found in the "Getting to Know TC Document". Please find below an updated version of the getting to know TC document. This has been updated with new staff to the school for term 2 as well. Please be aware that this is a big file when you download it. 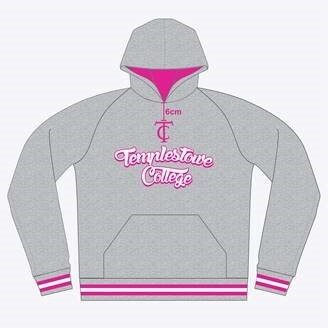 Thank you all for interest in the school hoodies. 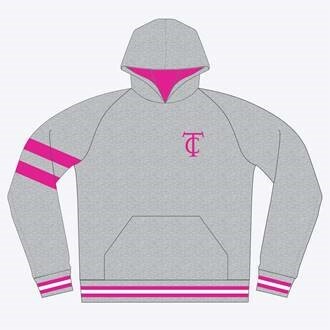 As the weather gets colder this will definitely be a great addition to your wardrobe! Please find link below with new designs available. Each design needs a total of 25 orders or higher to go ahead. If you order a design that has less orders we can swap the colour or design to a different option or you can receive a refund. When creating an account please us the students name so it is easy to hand them out when they get to school. We have a complete size range at school to try options on located in the Resource Centre. Please see Sophie to try a size on. This order will close in 11 days the 30th of April. This is to ensure that hoodies will be delivered by the 1st week of term 3. From 2018 all Victorian government secondary school councils must conduct their Student member school council election process. There are two positions available. The attached documents provide information on the roles and responsibilities of this new category. Student members of school council will have the same role and responsibilities as other council members, including full voting rights. Student members will be expected to prepare for and attend all council meetings, in line with the requirements for school councillors. If you want to nominate yourself or another student for one of the two student positions please see Peter Ellis.